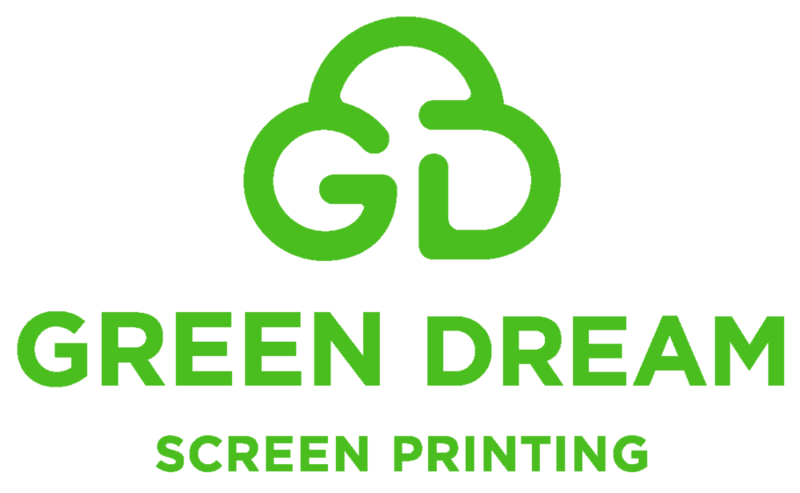 we are pleased to introduce you to our friends and neighbors, green dream screen printing. they specialize in providing high-quality products and personalized customer service, while aiming to provide environmentally-minded printing services, Green Dream Screen Printing guarantees you will be satisfied with your custom order T-Shirts, jerseys, totes, or art posters! Anything you need printed, we can do it! With over 15 years of printing experience, we provide the highest quality services and products at affordable prices. Green Dream can provide traditional screen printed tees, but we also specialize in water-based inks, offer the option of organic cotton shirts, and use low energy printing practices in order to "keep it green." Whether you have an order of 20 or 2,000 shirts, contact us today!